A benchmark bowling ball is defined by striking power and controllable hook. The Motiv Forza uses some very new and different technology. A new Torx block design is engineered to deliver a smooth and powerful line on medium oil. With 2.50 RG and .051 differential on weight of 15 lb ball, this block will deliver a motion with the ability to produces 5″ of flare and hit like a ton of bricks. Combine the Torx block with a new Helix solid reactive cover stock, and you have a ball that will start up early in the mid lane and finish with control and power. The solid cover gives a smooth consistent path to the pocket and the result is striking power with control.These are the elements that make up a benchmark bowling ball. Solid covers are different from the hybrids, which incorporate a mixture of solid and pearl and allow the energy to store up and give more of a flip at the break point, the solids deliver a smooth break and motion with devastating power to the pocket.The solid design likely insures a more consistent cover stock overall, where as the hybrids make vary in the amounts of pearl in the mixture as it is poured. What is a Benchmark Bowling Ball? 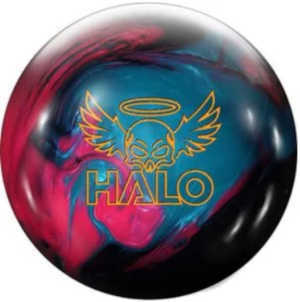 When you have a ball that is a ball you can pull out in fresh oil or stick with through the drying out and oil carry down you encounter in most league conditions,your go to ball, then you have a benchmark bowling ball that you can add a variety of different balls to your bag to compliment that ball. Will it Improve My Score? Being that this is a symmetrical, you can see an expected smoothness, and control to the motion after the break point. I find that whenever it comes to spare shooting, it is somewhat easier when you have more control. The stronger flip from the asymmetrical cores puts a bit of risk in the amount of extra hook you always get whenever those lanes eventually dry out, making that ten pin next to impossible. This ball does well in medium oil and on the fresh oil as well as the breakdown conditions after the second game in leagues, allowing strokers and crankers to both score well. The Helix solid reactive cover produces enough friction to get through the mid lane well, and still have enough left to pack a powerful punch. This ball was released in January of 2014, so it has been around for a year already. This is a ball that makes a good benchmark ball, and expect this ball to be around for awhile. I am always interested in how long every ball I buy will last. It seems all the bowling balls produced today have a limited life and eventually suffer ball death.The original particle balls were the worst for this. It seemed as soon as the oil clogged the pores, the ball would no longer hook and resulted in a ball that was considered useless, or done, or aka.. ball death.The solid cover stock should increase the longevity of this ball. People who have used the Forza for awhile, also like the fact it appears to be a durable ball, and does not pick up a lot of oil, which reduces the cleaning chore considerably. I can attest to that because I now have one in my bag.I decided to go with the Forza instead of the Storm Rocket, just to try to get a little more bowling between deep cleanings. 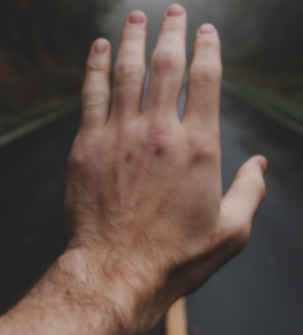 With my success of drilling the pin under on my old Gameplan and finding that I also enjoyed bowling with a glove, inspired me to drill my Forza the same way. After a few shots I was more than satisfied with the way the ball felt. I have more control over the hook and now I can slow down the speed of the ball, resulting in more accuracy. I also found through some research that the techniques used today for pouring and molding bowling balls use a much higher quality control, resulting in much more uniform ball every time. It used to be, that every ball was fairly unique and each one would be ever so slightly different, in core position, pin length and cover stock composite.However, like I stated above, the solid cover should deliver more consistent results overall. I remember when this label was found on almost every product I used, and Made in China, wasn’t even found. Now it is just the opposite, almost everything is made in China, Japan, or somewhere other than in the USA. 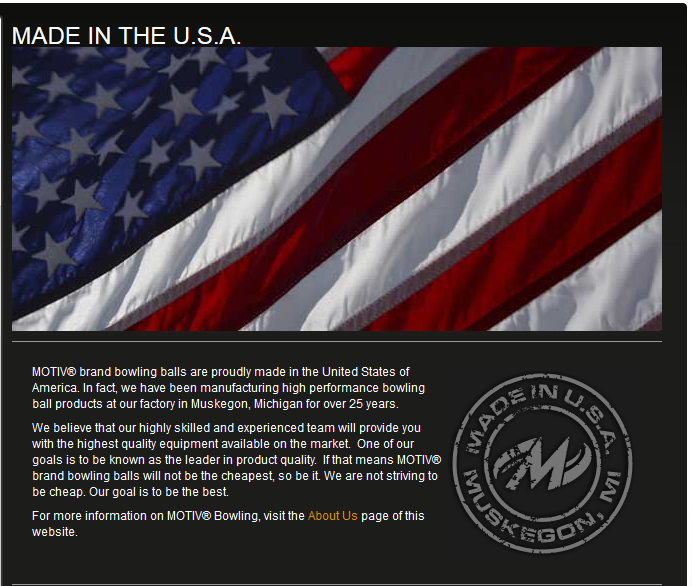 The Motiv bowling balls are made here, not China. So I would expect a quality durable product made by American workers. After using my Forza with the pin under drill, I decided to go back to the pin over drill. It seems I had a problem with the oil carry-down on the lanes. The pin under drill is less aggressive and for me. It didn’t seem to have enough movement to the pocket in the heavier oil conditions. I my case, I tend to throw my ball at a higher speed, around 15 mph, and the ball just didn’t have the energy I wanted. The pin over drill gives me a more aggressive hook. I got the type of reaction I personally like better. The ball had a better all around performance. Pin over gained more pin carry allowing for more strikes, and less nine pin results. I am very pleased with it right now and glad I re-drilled the ball. Some people say the pin placement doesn’t matter, I think it does. 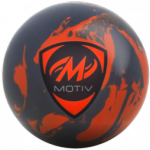 I can also say the Motiv Forza is resistant to oil. Out of the box it does not drink up the oil as other balls do. But, eventually it starts to absorb oil.That being said, I clean it after every use, and found it to be a ball that changes color drastically in the Hot Water Bath. 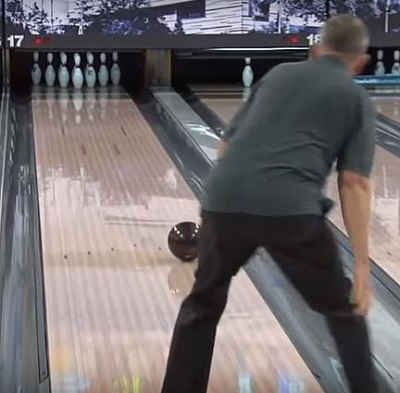 Once it is used a few frames in bowling, the oil returns the ball to its original color. It is only temporary, but it looks funny. I don’t like it. Shorter periods of time in the hot water, help control the color change. Try increments of 5 mins, then remove and wipe. Repeat using the directions in the hot water bath above. I give the ball a tune up by giving it 5 minutes in the oven. You can read the exact instructions for placing your ball in the oven under Deep Cleaning Your Ball. But I strongly urge caution when using the oven, you can damage the ball with extreme heat. Short sessions of 5mins and keeping a constant eye on it work for me. Don’t walk away, you will forget about your ball, and overheat it. If you like what you read, or have any questions please leave a comment below! Thank You! Wow!Grateful Information about Bowling Balls.Thanks for share it…. Glad you found it useful. The Motive Orange Forza was a favorite of mine, and still is. I wish they were continuing to make it!